My friend, Alan, invited me to go secret beach, where only 4WD vehicles can go. Indeed it was a awful road, if we call it "road". 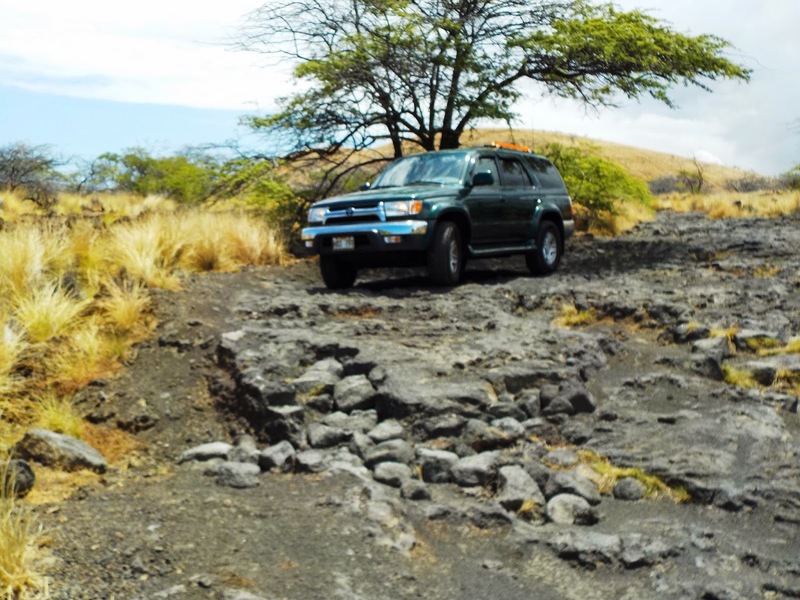 It is necessary not only 4WD but also high driving technique. The car followed us also did a hard fight. Alan's daughter checked it could pass a big projections. If the car became "turtle state", Japanese expression it means turtle body on the stone and 4 legs in the air, even 4WD could not go over. Only 1.5ml from the high way it took 50 minutes. 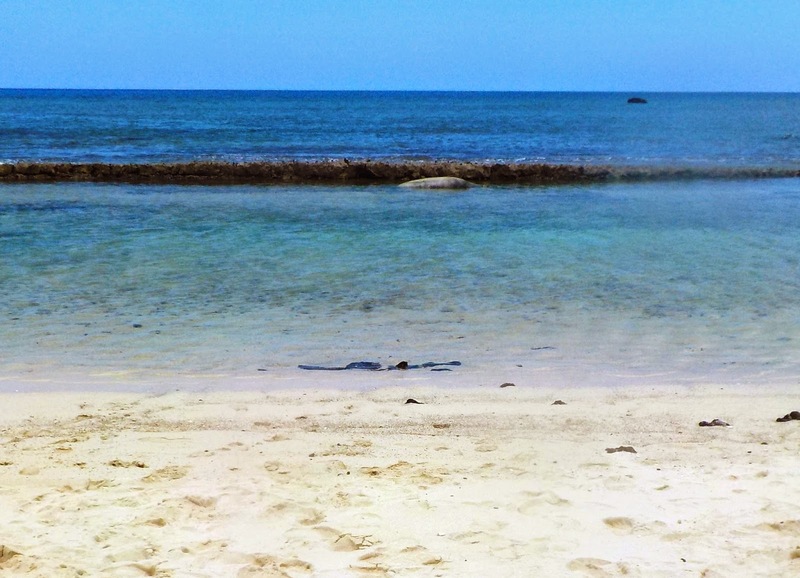 It was worth a hard driving, extremely beautiful beach, named Makalawena. It was a private property of Kamehameha School, so there was a gate. There was a few person who was curious to overcame such hard drive. The man who has not been there has not a conviction to able to go down and to go up to come back. Alan found a strange object near the shore and taught me that was a Hawaiian Monk Seal. I approached it with the water proof camera just I bought it. But Alan warned me not to go close because of danger and prohibited. So I had patience to keep this distance. Two girls passed by but they did not notice it so I taught it to them. They were very surprised and pleased and took many pictures. They were well acquainted with Monk Seal so taught me about it. 1. This Hawaiian Monk Seal is a Endemic spices of Hawaii. The native mammals of Hawaii are only two, Monk Seal and the bad named Opeapea. 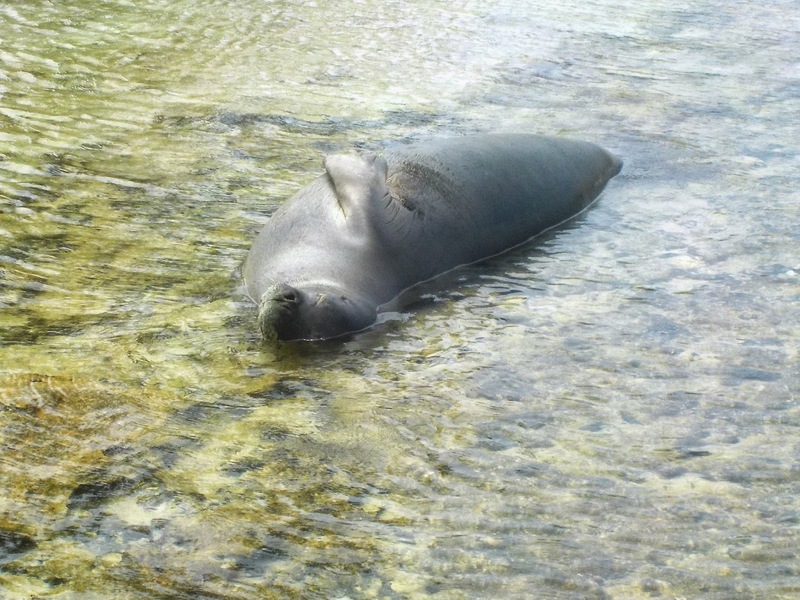 2.There were only 7~8 Monk Seals at Big Island. She has seen it only once. 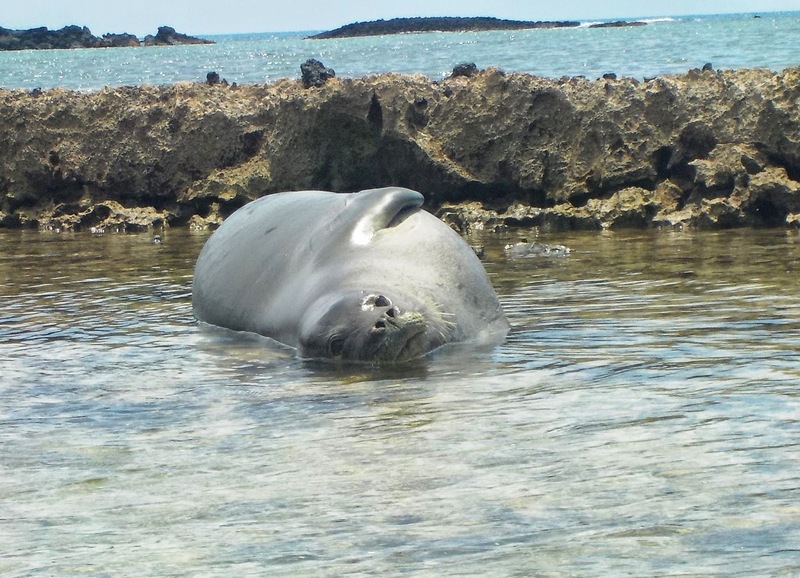 Several ten Monk Seals are living at Niihau isl. 3.This is endanger spices and are protected with great care. I took 21 photos of it, but only one is eyes open and smile.